Based within the Medical School's Diagnosis of Symptomatic Cancer Optimally (DISCO) group, Sara currently works as the Programme Manager for the CanTest Collaborative. Funded by a Cancer Research UK Catalyst Award, CanTest is an international group of primary care cancer researchers investigating ways of developing and implementing new and improved cancer diagnostic tests into primary care. Sara is responsible for the operational management and project delivery of the programme. Prior to this, Sara worked as the Engagement, Research Information and Communications Manager for the National Institute for Health Research (NIHR) Collaboration for Leadership in Applied Health Research and Care South West (PenCLAHRC), based in the Medical School. 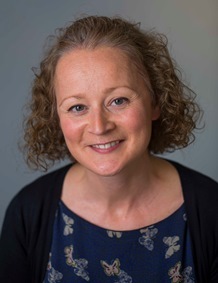 She originally joined the Medical School in May 2015 as the Research and Operations Manager for PenCHORD (the Peninsula Collaboration for Health Operational Research and Development), the operational modelling research group within PenCLAHRC. Previously, Sara worked as a Project Development Officer within the University of Exeter’s Innovation, Impact and Business directorate, where she was responsible for managing funding schemes designed to support collaborative projects between the University and external partners. Before joining the University, Sara worked for NHS NEW Devon CCG, Devon County Council and as a Research Assistant at Lancaster University.